A 25-year-old Uyghur jihadist terrorist from Xinjiang, an Islamist hotbed region in western China, is the prime suspect behind a massive bombing in Bangkok’s Erawan Shrine on August 17, Thai authorities have said. 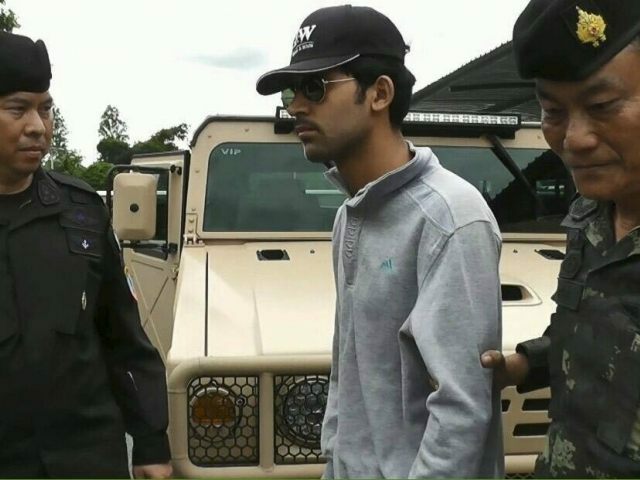 “The man found and arrested by the Burapha Task Force matches the suspect in the yellow T-shirt described in the arrest warrant,” Winthai Suvaree, the Thailand National Council for Peace and Order spokesman, said Tuesday in a press conference. Local media has reported that the man primarily responsible for the bombing, which resulted in the deaths of 20 innocents and injured 131 more, has been identified as Yusufu Mieraili, according to the Bangkok Post. The 25-year-old is reportedly from Xinjiang, China, which is home to the vast majority of the country’s Uyghur Muslim minority population. Islamic terrorists from Xinjiang have been responsible for multiple terrorist attacks throughout the region over the past few years, resulting in the deaths of hundreds. Chinese state-media estimated last year that over 100 had left Xinjiang to join the Islamic State and fight on behalf of the jihadi group. “Based on examination of the evidence, we can confirm the male suspect we arrested is an important one and is in the same group with other suspects behind the bombings at two locations,” Added Police spokesman Prawut Thavornsiri. The police spokesman said the suspect will be held in detention so witnesses can identify him and detectives can pull fingerprints and DNA to see if they have apprehended the right individual. Thai authorities have now issued seven arrest warrants in connection to the bombing. On Monday, Thai police sought the arrest of a 26-year-old Thai Muslim woman and an unnamed foreigner. AFP reports that the Thai woman now lives in Turkey and claims she was not in the country at the time of the attack.